At the Plant Sale and Flower Show today I took some photos of flower arrangements done in a form of Ikebana style. The very bold and brash Banksias and Waratahs featured in them all. 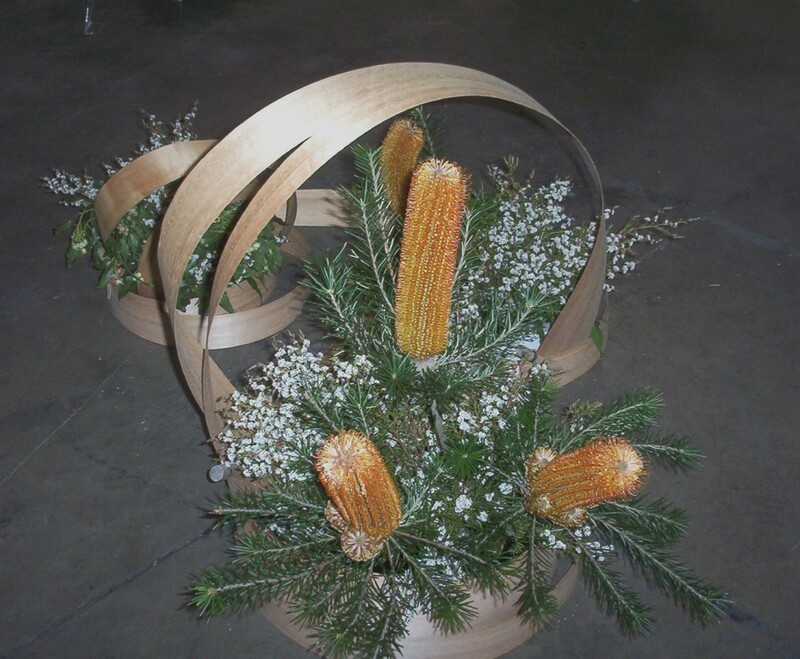 The members of this particular flower arranging group have made floral arrangements for the last few Flower Shows. They certainly showcase these exciting flowers. The photo above features Banksia spinulosa and Thryptomene. The Pavilion where this display was housed had all sorts of distracting features on the walls and around the cut flowers. It was quite tricky getting a photo which did not have too much in the background. No I don’t, Carmel. The arrangement was done by a member of a flower arranging group and I took the photo at a display of the group’s work.